Art Kibbutz NY, the international Jewish artist colony launched its pilot residency program this spring at the spectacular Eden Village Camp in Putnam Valley, New York. The first season's theme is THE JEWISH WALTZ WITH PLANET EARTH. From May 1-22, 2013, 30 outstanding Jewish artists from all disciplines will be able to work on developing their work while in residence at Eden Village Camp, renowned for its naturalistic beauty. Artists arrived from as far as Australia, Argentina, Israel, Russia, Canada, Great Britain and Hungary to the residency. Visit May 12th 11:45am - 6:00pm at Art Kibbutz Open Studios at Eden Village to see surprising and creative ways Jewish artists are connecting with mother Earth. The goal of Art Kibbutz NY is to create a kinetic, multi-disciplinary community of artists where musicians, writers, dancers, performing artists, playwrights, photographers, sculptors, landscape artists, culinary artists as well as visual artists will be asked to engage with their natural environment, said Patricia Eszter Margit, founder of Art Kibbutz NY. The concept behind the Art Kibbutz NY pilot artist residency program is to enable collaborative and creative responses to climate change, food security, and sustainable development. This revolutionary, unprecedented project is a living model of a thriving, inspired, sustainable Jewish artistic community, grounded in social responsibility. "This experience is transforming the artists by deepening their sense of personal purpose, contribution and Jewish identity and that the artworks created will deepen the Jewish community’s commitment to healing the planet," said Margit. “The opportunity to situate our artist colony at Eden Village Camp is a great privilege. I cannot think of a more inspiring location, nor a better ideological fit for our initiative." THE JEWISH WALTZ WITH PLANET EARTH marks a significant step that Art Kibbutz NY is undertaking towards the creation of an international Jewish artist colony at a permanent location, she added. Most of the artists who participate in the artist colony’s pilot residency live and work on site. Eden Village Camp is a magnificent 248-acre venue bordered on three sides by the wooded hills of Clarence Fahnestock State Park in the Hudson Valley. Located 50 miles north of New York City and six miles from Cold Spring, NY, it is also accessible to those artists who wish to commute. During the day, the artists-in-residence work on their various projects and in the evenings, they share their work, ideas, and experiences with each other and learn about Jewish environmental issues in our Artist Beit Midrash. Acclaimed international scholars and artists visit and teach, including Jackie Brookner (US), Nikki Green (Australia), Kobi Arad (Israel), Professors Marc Michael Epstein (Vassar) and Jonathan Schorsch (Columbia). While there are almost 400 artist colonies in the United States, none are particularly geared towards nurturing Jewish artists and art. The mission of Art Kibbutz NY is to foster inter-cultural exchange and respect on the global level through providing international emerging and established artists of exceptional talent with an inspiring and peaceful space to work, learn, and dialogue about the 21st century Jewish experience with access to the vibrancy of NYC’s Jewish and artist communities. 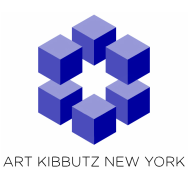 Art Kibbutz NY was founded by Patricia Eszter Margit in 2010. The organization is now in its pilot phase and supported by an outstanding Advisory Board that consists of leaders of the major Jewish art and communal organizations such as Foundation for Jewish Culture, Memorial Foundation for Jewish Culture, Jewish Art Salon, Association for Jewish Theatre, JCRC-NY, UJA.